Home CA Business MostFit Brand Ambassador Tom Holland and New 12 lb Core Hammer featured at 2015 IDEA World Fitness Convention L.A.
MostFit Brand Ambassador Tom Holland and New 12 lb Core Hammer featured at 2015 IDEA World Fitness Convention L.A.
LOS ANGELES, Calif. /California Newswire/ — MostFit will host Tom Holland, internationally recognized exercise physiologist and certified sports nutritionist, in the MostFit booth (booth 1507) at the 2015 IDEA World Fitness Convention in Los Angeles in July. As MostFit Brand Ambassador, Tom will be leading product demonstrations to include the brand new 12 lb Core Hammer, the original 8 lb Core Hammer, SYN Rings and more. He will also be engaging in a book signing featuring his recently released paperback, "Swim, Bike, Run, Eat." "We are thrilled about all the great things we are able to offer IDEA World attendees this year. With Tom Holland coming on board, and the launch of the new 12 lb Core Hammer, we have so much to offer," says Andrew Gavigan, MostFit Founder and President. "Anyone who stops by the booth won't be disappointed!" Andrew, Tom, and other trainers will run ongoing, 15-minute hands-on demos in the booth, with a chance for participants to win a MostFit beanies or T's. IDEA World attendees can also simply stop by the booth and sign up to receive the MostFit online Newsletter and automatically be entered to win a Portable Fitness Kit consisting of MostFit products, valued at over $75. Special conference discount pricing will be in effect for the entire conference, with an even deeper discount available during the Exhibit Hall Happy Hour from 5:30 – 6:30 p.m. on Friday, July 18, 2015. Each year, over 12,000 personal trainers, group fitness instructors, mind-body professionals, owners and managers, and world renowned experts from every corner of the globe converge at the IDEA World Fitness Convention. This year the convention is being held in Los Angeles from July 15 through the 19th. "This is the next exciting initiative among a host of strategic things MostFit is involved in this year," said Tom. "I'm happy to be a part of it, and anxious for the opportunity to share this product line with professional trainers and instructors at IDEA World." 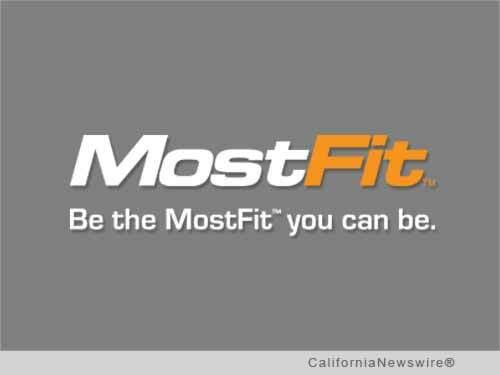 MostFit is dedicated to promoting fitness throughout the community, as a means to health and happiness. Their goal is to make fitness enjoyable, accessible and realistic – which is paramount to creating a healthy body image and ultimately, success. More information: http://most-fit.com/.